Words cannot do justice in describing the life and accomplishments of Helen. Everyday that we had the opportunity to visit with and learn from Helen was a real gift. Her passion for the environment was matched only by her enthusiasm for life. Helen always had a smile on her face, had a story to tell, a book suggestion for you to read and a welcoming personality. She truly was a kind and gentle soul. We will miss her dearly, but will always strive to match her passion and finish the work that she started more than 50 years ago. 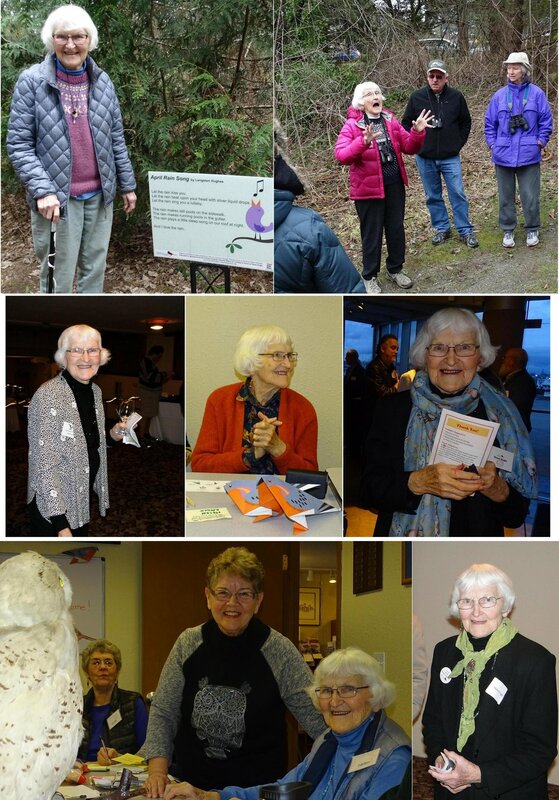 Helen started Tahoma Audubon Society in her home after seeing the need for a local Audubon chapter in Pierce County. Folks often mention that the early editions of the Towhee newsletter where mimeographed in her basement and hand labelled. Helen also held an annual picnic in her backyard that over the years grew into the place to be for anyone doing environmental work in the County. Helen always had a smile, but don;t let that fool you she was passionate and relentless on issues close to her heart. Thelma T. Gilmur and Helen Engle were considered the founding mothers of Tahoma Audubon. Thelma was known for her environmental education and passion for taking children into nature. However, Thelma was also instrumental in saving many of our local gems. Thelma was involved with numerous conservation projects including protecting Snake Lake, China Lake and Nisqually.